Grabbing life by the horns and making it simple! Life hacks – Defeat Bullying! The sad Truth Behind Bullying! Free Xbox 360 Troubleshooting Guide! Gaming, Before, now and the Future! The Essence of Customer Support! Customer Service in Corporate World. 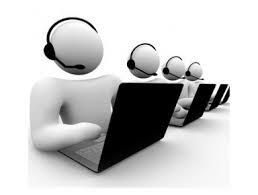 In corporate world, customer support is an integral part in almost all aspect of business development and growth. It plays a very important role in the company’s success as a whole. Customer support is considered as the front-end of the organization that could either bring the company down or help the company surge towards the very competitive market. A company can streamline its operation through better customer support system. This will enhance it’s Sales, Marketing and Customer Retention. Studying on the impact of how the company deals with their customer through their Customer Care department will provide the upper management a better view on how to run the business effectively and efficiently. They say, focus on the marketing department of the business to gain more customers and success, however, working on the Customer Service is the best way to start. With a premium services given to current customers, it drives customer loyalty and brings new prospect customers because that one person who received a great customer experience and a satisfactory services from the company will tell his friends and family and his friends and family will share it to their own network of friends. This cause domino effect and brings good reputation to the company. This is also known as Marketing by experience. A low-cost marketing strategy with high reliability for the customer since it came from their own experience that they’re willing to share. This marketing technique has been used mostly by big companies already through every customer contact. At the end of each call, a customer will be asked for a short survey about the product, support, overall experience and how well they recommend the company and its services to their friends and family. This is the subliminal message behind each survey that the customer gets after every contact with the company. The more they see that message “recommend to your friends and family”, with the great customer service experience, the more they pursue to spread the excellent experience they received. Unconsciously, each customer became a marketing material of the company and they represents its products and services for free.